FURminator Nail Clippers make it easy to trim your pet's nails at home so you can keep your cat or dog comfortable and healthy. This professional-quality grooming tool uses anti-microbial plastic and stainless steel edges to minimize bacteria and reduce any chance of infection. The textured handle also provides an ergonomic grip that makes it easy to cut through nails. FURminator Nail Clippers also utilize an adjustable nail guide to control your cut and the length of your pet's nails with ease. These clippers also include a protective cover that shields the sharp blades to reduce the risk of accidental injury while the clippers are not in use. 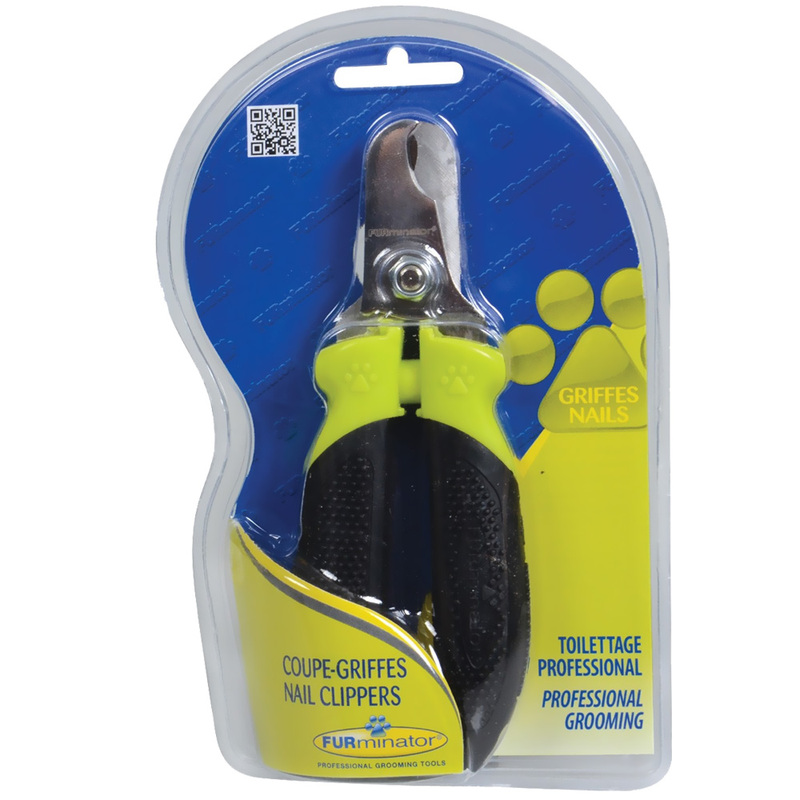 Dogs need their nails clipped every 3 to 4 weeks, so provide your pet the best clipping experience possible with this quality nail clipper and order today! Clipper Dimensions: 6" x 1" x 2". Package Dimensions: 7½" x 4¼" x 2".